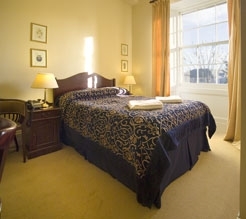 We are less than one mile from the centre of Edinburgh where guest will find Prince’s st. A shopping parade alongside galleries and gardens with the imposing Edinburgh Castle above at the top of the Royal Mile stretching down to the Palace of Holyrood, still uses by the Royal family. This is reached via an elegant 15/20 min walk through the Edinburgh New Town which was first designed in 1767, and is the largest complete example of town planning from the Georgian period anywhere in the world. The Royal Botanic Gardens opposite is a Haven in the city with many stylish restaurants bistro’s and cafes to enjoy nearby. 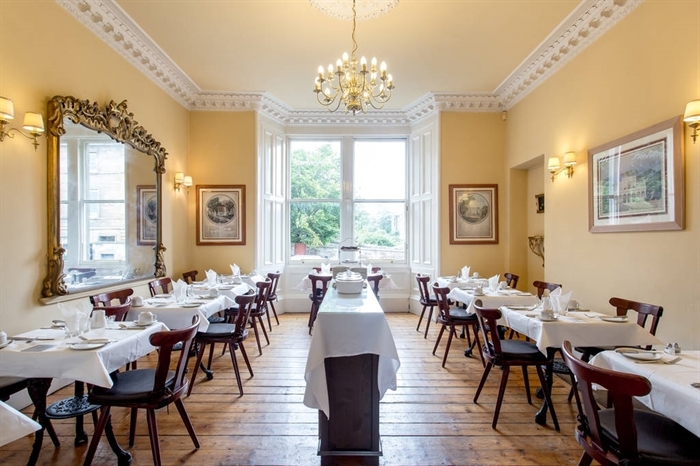 The building has been a hotel for almost 70 years offerring hospitality in leafy Inverleith. 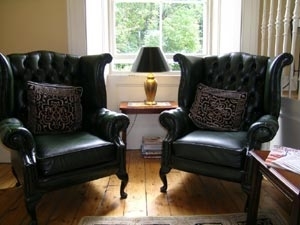 We continue the tradition with a small residents bar specialising in malt whisky and other refreshments. The Inverleith has been run by the Case family for the last 16 years with the help of a young management couple we continue to strive to offer a home from home atmosphere to family’s and business guests from around the world (we often accommodate visiting Botanists and horticulture experts studying and lecturing at the Royal Botanic Gardens). 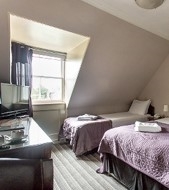 Most rooms, a total of 10, Four poster king size standard double, small double twin, family and single, are only one flight of stairs from the main areas and the top floor views also benefit from fantastic views to the city skyline gardens and beyond. 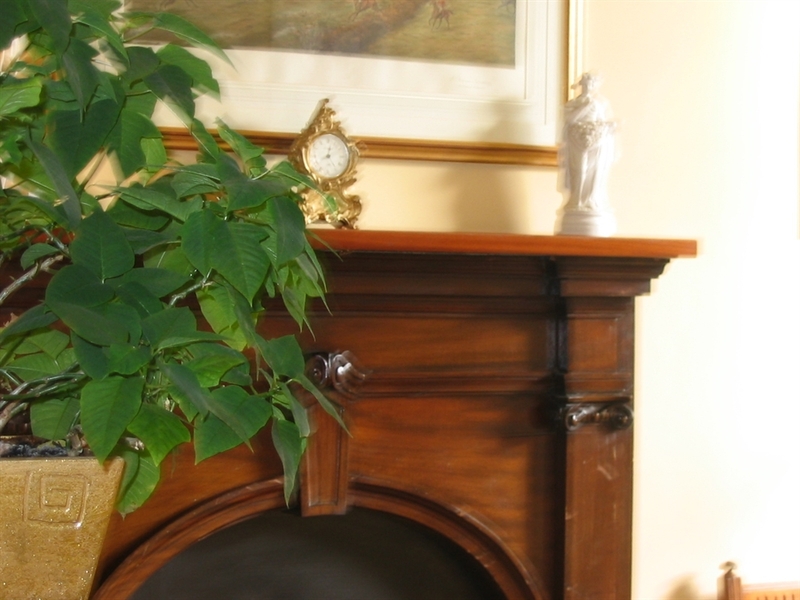 We also have a ground floor self catering apt for larger families or longer stay guests right next door with the added advantage to have breakfast within the hotel. 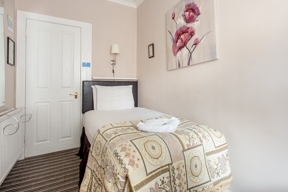 All rooms are ensuite and have Tv, telephone link to reception, Coffee and tea facilities/hospitality, complimentary wi fi, hairdryers and complimentary toiletries. We can also offer light room service meals to the weary travel who would rather not venture out. The local bistro’s and café’s however are only a minute or two walk from the Hotel. 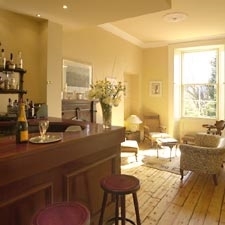 The water of Leith walkway also runs behind the hotel where guests can enjoy a stroll all the way to the Gallery of Modern art and Dene gallery through the picturesque village of Stock bridge, a hidden gem within Edinburgh city centre. Check in time is normally from 3pm but guests can arrive much earlier and leave luggage when we will issue you with a local map and help you plan your day with info on local transport etc.. The hotel is manned 24 hours and guests can also arrive up until 11pm and after this with a key code access. We can arrange pick up from the hotel with trips to Loch Lomand, Loch Ness St Andrews, Roslin Chapel as well as the city tour which will also take guests to the Royal Yacht Brittania only 1.5 miles from the hotel at the port of Leith with its many fish restaurants and Ocean Terminal shopping centre, and added attraction to all Edinburgh’s sights with a coastal atmosphere travel a little further around the coast to Cramond Island and the Victorian Promenade at Portobello. 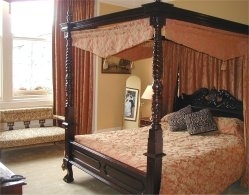 From £32.50 per person per night dbl/ twin, dependant on season. We look forward to welcoming our guests to our unique position beside the Royal Botanic Gardens and park land in the centre of Edinburgh.